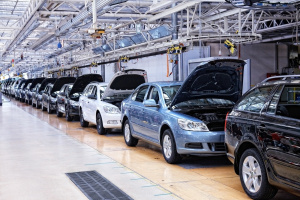 An automotive parts manufacturer with over $40B in annual revenue, 170,000 employees, dozens of manufacturing locations across North America and Asia has implemented OM Plus output management software to streamline document output from its core back-office systems. OM Plus print software has been implemented on 26 server systems across the enterprise to ingest documents from several ‘back-office’ systems such as MFG/Pro. OM Plus replaces and enhances the spooling function to increase system scalability, improve system performance, ensure accurate routing of documents, enhance diagnostics, and streamline help desk operations. OM Plus allows users to see status and control documents as they are routed throughout the enterprise regardless of the system that created the documents and the final destination. The improved fidelity of the output management system allows the manufacturer to meet more customer deadlines and avoid late fees and penalties. OM Plus also saves IT and help desk resource as trouble shooting and problem resolution is improved. This customer takes advantage of Plus Technologies’ subscription licensing program to minimize up front capital costs and save money.